After 13 years, Tesla (TSLA) is finally changing the tires on its brand. The company is shortening its name from Tesla Motors, Inc to Tesla, Inc, according to a financial filing on Wednesday. The decision to drop "Motors" from its name is a reminder of Tesla's ambitions to move beyond selling electric cars and create a sustainable energy empire. 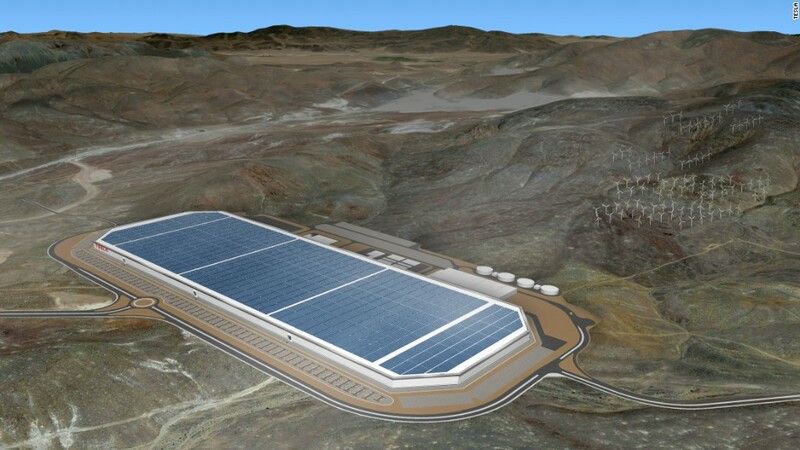 Tesla has built a massive factory to produce lithium ion batteries, sells a battery system that can power a home and now offers solar-paneled roofs thanks to its acquisition late last year of SolarCity. Elon Musk, Tesla's CEO, has also teased plans to build "heavy-duty trucks and high passenger-density urban transport" as well developing a ride-hailing network, which could be similar to Uber. As Musk explained in a blog post last year called "Master Plan, Part Deux," Tesla's mission isn't just to build cars. The mission is "accelerating the advent of sustainable energy, so that we can imagine far into the future and life is still good." Tesla first hinted at the move by taking the "Motors" out of its website name. Its Twitter account still says Tesla Motors, as of publication. Tesla's name change comes almost exactly a decade after Apple (AAPL) dropped "Computer" from its name and simply became Apple, Inc. Two days later, Apple unveiled its next breakthrough product: the iPhone. A spokesman for Tesla declined to comment beyond the filing.